Let us work together so I can help you imagine and deliver on a successful cloud first strategy, taking your business to a modern SAP S/4HANA Powered PasS/SaaS solution. Subscribe to my Youtube Channel - SAP S/4HANA Cloud Knowledge Snippets (#S4HCKS) - the only site where we actually show you with full recorded sessions how it is done in the Cloud with SAP S/4HANA Multi Tenant Edition (MTE). What are you waiting for? All our content is 100% free! 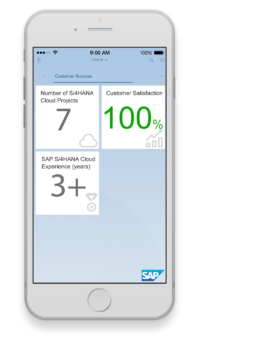 My publications and articles about SAP S/4HANA Cloud. In this snippet we show you how you can use custom logic to arithmetically determine a check digit if you are using the BPay bill payment method. This #S4HCKS introduces you to an Excel based tool that you can use to generate scope maps. You can generate them per business area and generate an Powerpoint Presentation out of it as well. These scope maps are customizable and localized to a country too. I have had the privilege of being part of SAP S/4HANA's journey from the start (on-premise and cloud). Working within the Regional Implementation Group (RIG) as a Product Expert has allowed me to foster incredible relationships within the SAP Cloud Eco System and get unparalleled insights and knowledge about SAP's intelligent Cloud ERP.